After a 15-vintage career, successfully reaffirming Nederburg's reputation as one of South Africa's top wineries, cellar master Razvan Macici is taking on a new position. He has been appointed Distell's head winemaker, a newly-created role, overseeing style and quality across the company's entire wine portfolio as well as driving innovation, while providing a nexus for the exchange of specialist wine knowledge. He will also serve as a roving wine ambassador for the company, liaising with critics, influencers and the trade in major markets. 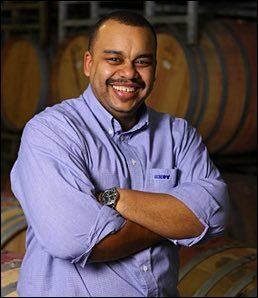 Distell's primary production director, Johan Venter, said the appointment was a key step in advancing the company's wine business and standing. "Fine wine in particular is assuming a growing significance in our portfolio as we develop and expand markets globally. The new position will provide an additional impetus to stimulate and steer winemaking excellence, enhancing our competitive advantage." Venter said that while Macici would continue to influence Nederburg's winemaking, he would now also influence the company's other wine ranges, from Alto to Zonnebloem. Amongst the many other brands to benefit from his expertise would be Durbanville Hills, Plaisir de Merle, Le Bonheur, Uitkyk, Stellenzicht and Neethlingshof. He would also be working very closely with all the viticulturists involved. Macici’s move, effective from July 1, will result in other changes within the company's cellar management structures. Andrea Freeborough (pictured left) will succeed Macici. She returns to Nederburg after a decade as head of Die Bergkelder, where she has earned considerable international kudos for many Fleur du Cap wines and has also overseen top-performing brands in Die Bergkelder stable such as the highly awarded Lomond. Before her role at Die Bergkelder, she made Nederburg's white wines under Macici for more than four years. 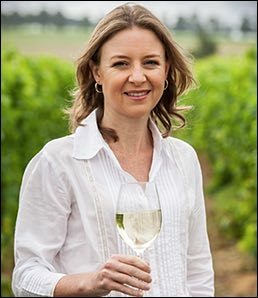 Venter said she was the obvious choice for the Nederburg job, having proven her ability at Die Bergkelder to lead a big team and to simultaneously create both specialty and more popular wines. Commenting on his successor, Macici said: "Andrea is an outstanding winemaker and colleague. We have always worked extremely well together and after my decade-and-a-half at Nederburg, I can think of no better person to continue the journey from here." Her position will be filled by Wim Truter, currently Die Bergkelder's red-wine maker and formerly white-wine maker at Nederburg. He brings extensive international exposure to his new position. With a prestigious Erasmus Mundus international masters degree in vintage, vine, wine and terroir management, he has also worked in the US and Australia. Venter confirmed that at the end of October, when Distell's group general manager: winemaking, Callie van Niekerk retires, he will be succeeded by Deon Boshoff (pictured), currently cellar master of Adam Tas. With his promotion, Elize Coetzee, who makes the white wines at Adam Tas and is responsible for brands such as Zonnebloem and Place in the Sun, will become the new cellar master.